The Blish lock was an invention of John Blish, who worked around big US Naval guns at the turn of the 20th Century. He noticed that when breech loading cannon were fired with light charges, the breech would tend to unscrew, and that if the breech parts were made of dissimilar metals, they would adhere or stick to each other. 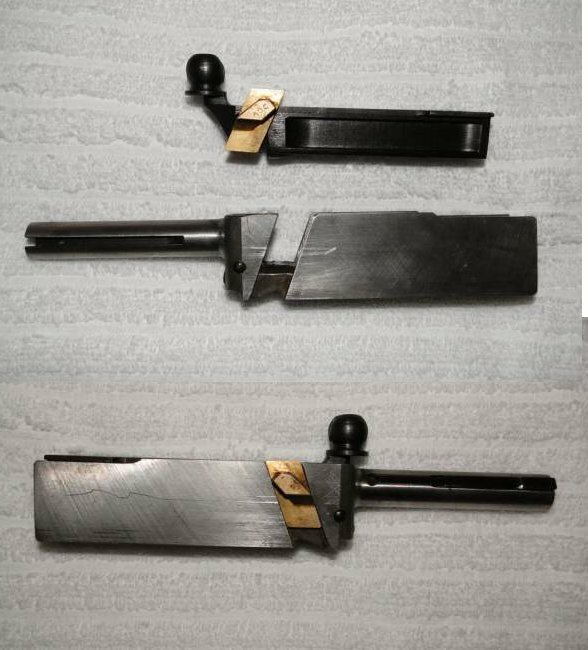 He eventually modified this principle into a delayed blowback wedge soon to be adapted to the Thompson submachine gun. General John Thompson, a US Army officer, thought there was a better way to clear trenches during WWI and formed Auto Ordnance to develop a rifle that would be capable of full automatic fire. Thompson didn't think a blowback design would work as the breech block would be too heavy and a gas operated design would be too complicated. He then came upon the Blish Lock as the answer. When the gun was fired, the Blish wedge would jam solid till the pressures dropped, allowing the breech block to move and extract the shell. The design wouldn't work with a high powered rifle cartridge as Thompson intended, but did work with the .45 pistol cartridge so what came to be known as the "Tommy Gun" was to be a pistol cartridge submachine gun. The Royal Small Arms Factory in England inspected the arm after WWI, but didn't particularly care for the Blish Lock. They thought it would work just fine as a blowback weapon, and even removed the lock and fired the gun to prove the point. This was also realized by the builders of the Thompson, and they modified the gun during WW2 to simplify production. Between the wars Britain wasn't in any mood to spend money and no procurement of the weapon followed. 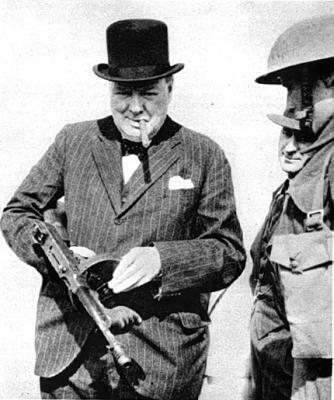 However, after WW2 began, the Brits wanted all the Tommy Guns they could get. It may have been heavy, and there are the problems of using a pistol cartridge that wasn't solved till the assault rifle and the intermediate power rifle cartridge were developed, but in the early days of WW2, a Tommy Gun was just the right weapon at the right time.